Located atop the western edge of Lookout Mountain on the Cumberland Plateau, Cloudland Canyon State Park is arguably one of Georgia's finest state parks and is only a short 45 minute drive outside of Chattanooga, Tennessee. Whether you're looking for excellent camping opportunities, stunning views, or a one-of-a-kind hiking experience, this Appalachian river gulch offers something for all outdoor enthusiasts. Designated as a state park in 1939, the park has expanded from its original purchased 1,924 acres to today's still growing 3,485 acre wilderness area. Previously known as Sitton Gulch or Trenton Gulf, the park was purchased in stages by the state of Georgia from families that still have deep roots within the surrounding area. During the New Deal reform programs, President Franklin D. Roosevelt organized the Civilian Conservation Corps to build the first facilities and signs in the park, preserving and supporting the future experiences for visitor's today to continue to enjoy the over 200-million year old geology of the canyon. 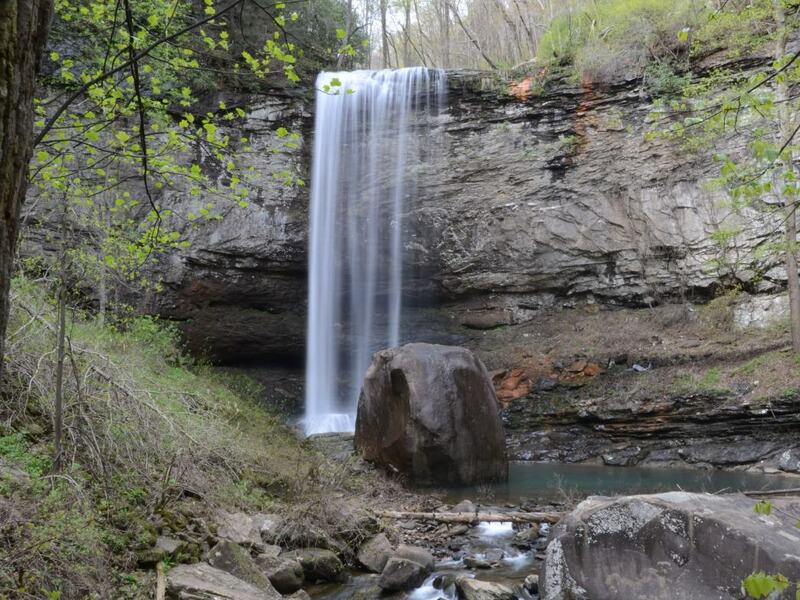 When visiting today, a trip to Cloudland Canyon isn't complete without seeing Cherokee and Hemlock Falls. Little places in this country offer an opportunity to see two beautiful waterfalls in one hiking experience, and this is one of them. 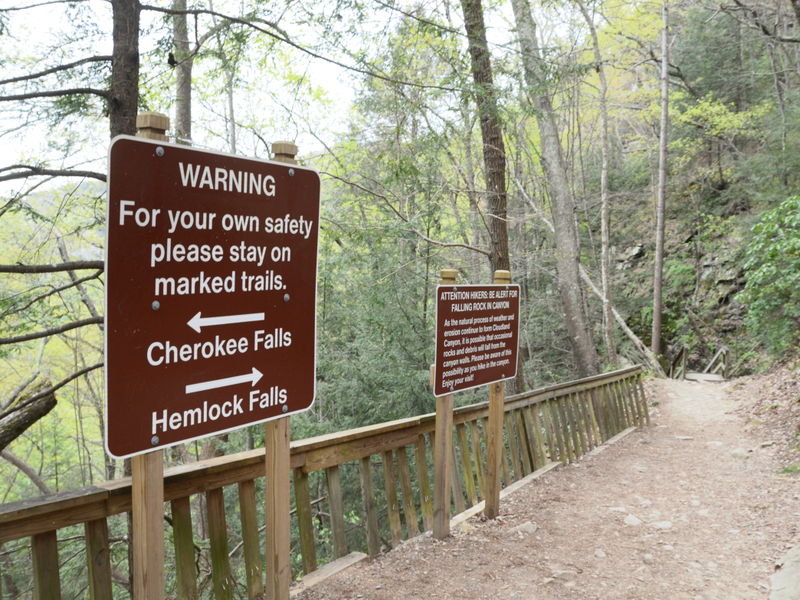 The Waterfall Trail starts in the main area along a paved path that will lead you down a 600-step staircase to the access points of Cherokee Falls, Hemlock Falls, and the Sitton's Gulch Trailhead. 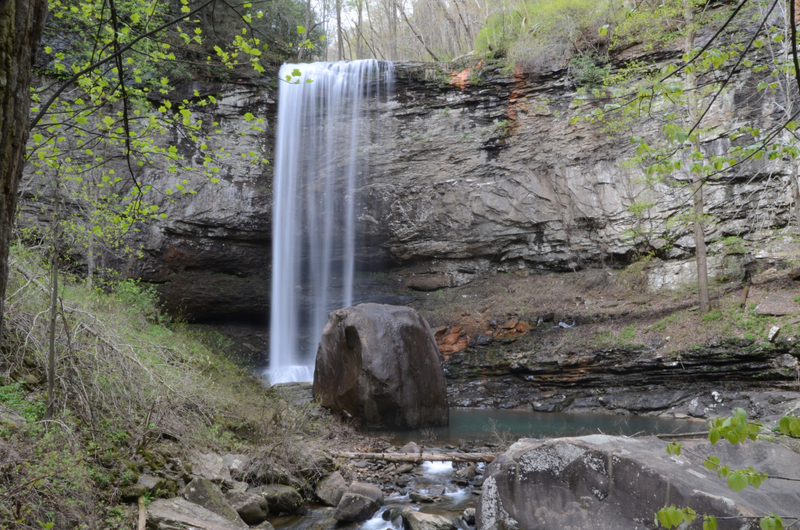 The first waterfall that you'll be able to access is Cherokee Falls which is a quick .3 miles from the trailhead and stands at over 60 feet tall. Along the way to Cherokee Falls, you'll hike through lush foliage alongside Daniel Creek, which offers great photo opportunities. Depending on the season, the falls and the creek can fluctuate in flow, making each time you visit a different experience than the last. 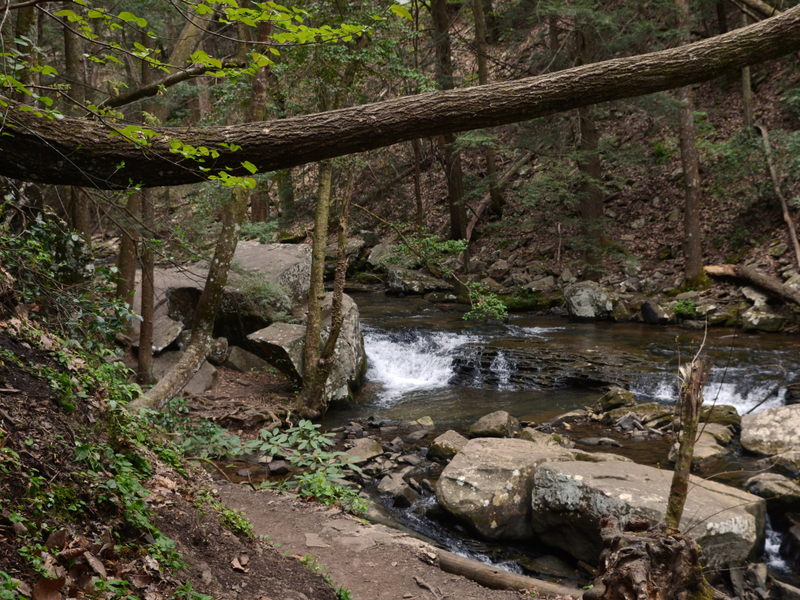 As you approach Cherokee Falls, you'll begin to see the falls tucked between tall trees, creating a remarkable visual relationship between land and water. 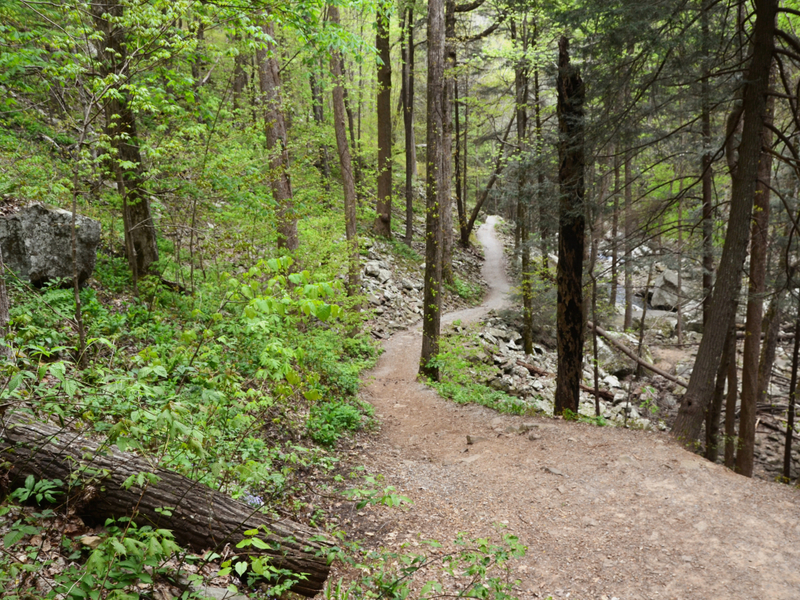 Once you've enjoyed the views and sounds of Cherokee Falls, continue back on the same trail you came from to reconnect with the main Waterfall Trail and begin hiking further down the canyon to see Hemlock Falls. From the main trailhead, Hemlock Falls is a .5 miles, and is over 90 feet tall. The trail system is well marked, so feel free to get distracted by the geology of the canyon. 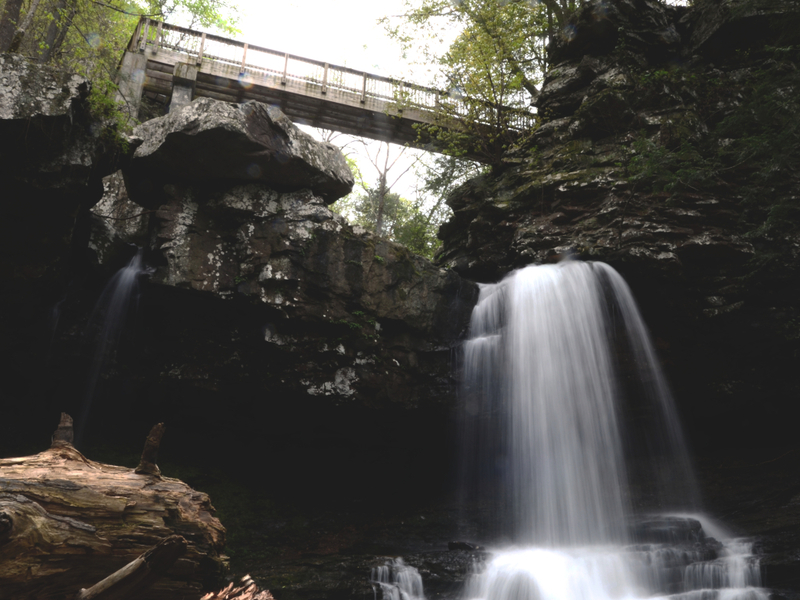 Once arriving to Hemlock Falls, you can experience the falls by enjoying the view on the observation deck, which is a great place to take photos and have lunch. Because this is such a popular hike, set a good example by hiking on only marked trails and leaving no trace. 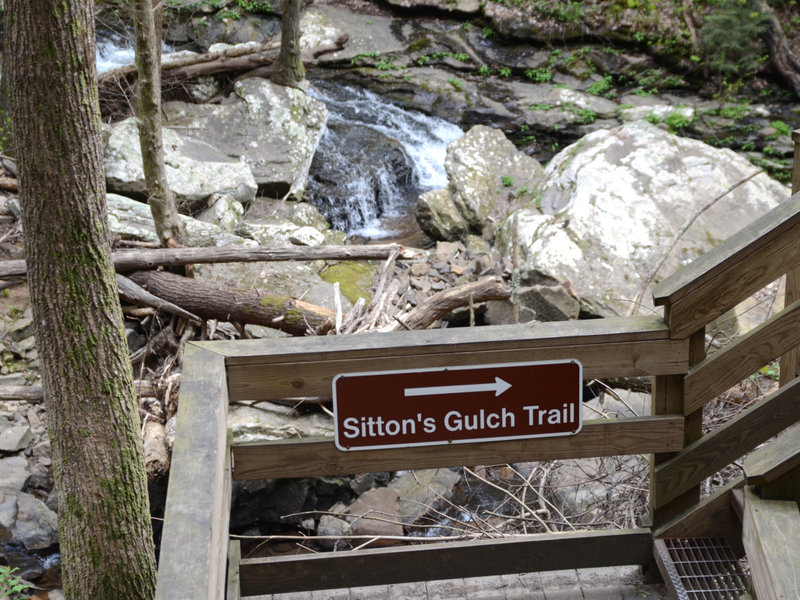 After experiencing the Waterfall Hike to Cherokee and Hemlock Falls, you can extend your adventure downward by connecting with the Sitton's Gulch Trail, which will take you down through the gorge alongside the creek to a parking area in Trenton, GA. Along the way, there are multiple opportunities to view smaller cascading falls. It's important to note that whether you're just seeing the falls, or doing a longer hike down the Sitton's Gulch Trail, it can be strenuous on the way back to the parking area, so please plan accordingly. Also, dogs are allowed (on leashes), but not all dogs are in favor of hiking up and down 600-steps. The best way to experience this park is by arriving earlier in the mornings, and not during peak seasons or holidays. If you're looking for solitude, continue down the Sitton's Gulch Trail, or visit the West Rim and hike the 4.8 mile West Rim Loop Trail. 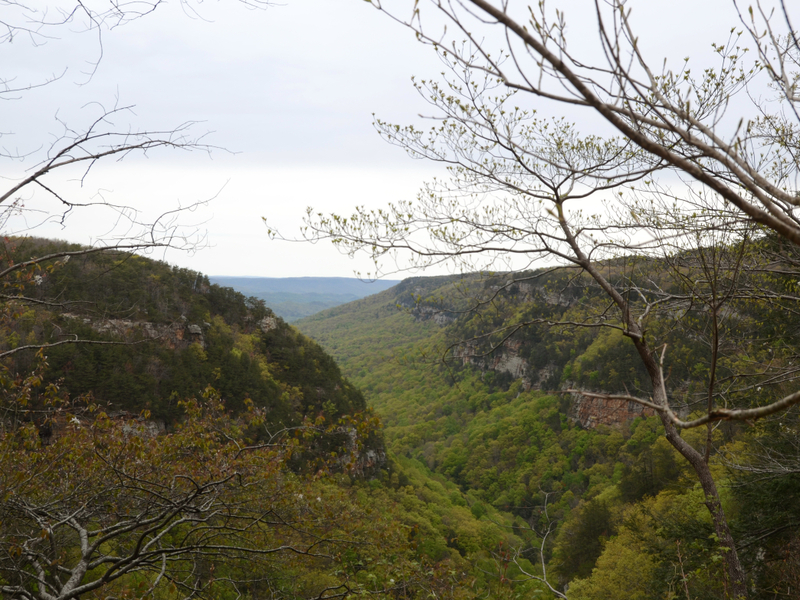 If you're looking for a backcountry experience, then there is a 9.0 mile long backcountry trail, and a 14.0 mile long Cloudland Canyon Connector Trail that will offer a great wilderness experience for any outdoor enthusiast. Escape the crowds by continuing your waterfall hike down the Sitton's Gulch Trail. 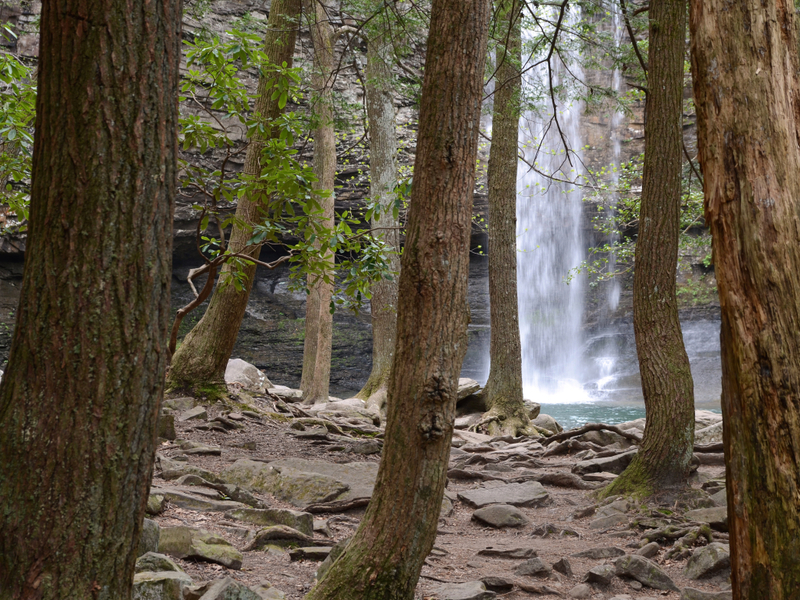 Next time you visit Cloudland Canyon State Park, share your adventures with RootsRated. Tag us on Instagram at @rootsrated or #RootsRated.